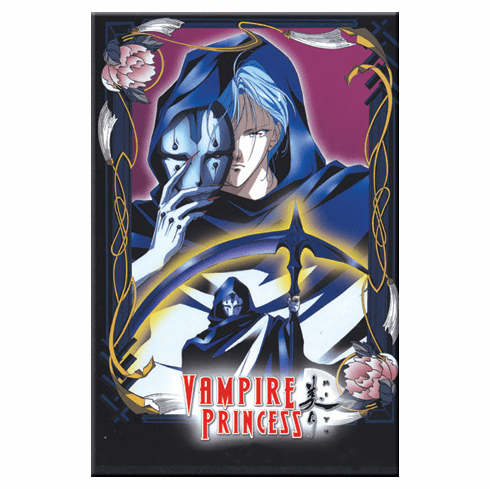 Picking up where the OVA left off, the VAMPIRE PRINCESS MIYU TV series is the continuing story of a centuries old vampire trapped in the body of a young girl named Miyu. Miyu is discovered by the spiritualist and exorcist Himiko, who, seeing past the mask of the young child, realizes that Miyu is a vampire that may be responsible for a series of murders in Kyoto. However, as Himiko observes Miyu, she realizes that Miyu, accompanied by her masked companion, Larva, are actually hunting a race of demons that feed off of human folly called Shinma, who escaped their own Dark world hoping to take over ours. Retaining the dark, creepy atmosphere of the original and containing a completely new story arc, this is one of the few television series that lives up to the quality of its OVA predecessor.